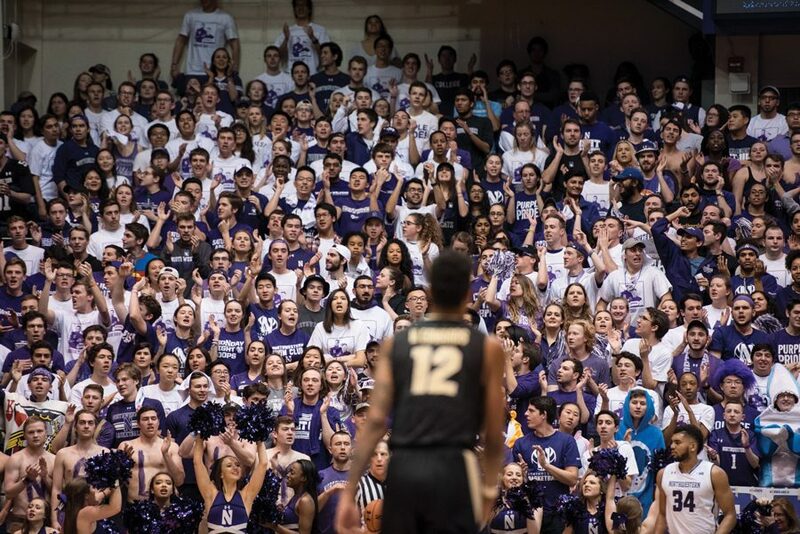 The crowd during a men’s basketball game at Welsh-Ryan Arena last season. The Wildcats will play at Allstate Arena while Welsh-Ryan Arena is renovated during the 2017-18 season. For reference, Nantz has called the Masters, multiple Final Fours and multiple Super Bowls. But that Welsh-Ryan Arena is no more, as it is undergoing a thorough renovation during the 2017-18 season. The battle with the Boilermakers was the final game seniors Scottie Lindsey, Bryant McIntosh and Gavin Skelly will play in Evanston. This season, Northwestern will play its home games at Allstate Arena in Rosemont, Illinois. The capacities of Allstate and Welsh-Ryan Arenas are drastically different. Before the renovation, Welsh-Ryan Arena had a capacity of 8,117 and was sold out a number of times last season. But Allstate Arena has a capacity of 18,500, so filling it will be a tall order for a team that had struggled to pack Welsh-Ryan Arena before last season. Lindsey said playing at Allstate Arena will be an exciting challenge. NU is coming off its most successful season ever, in which it earned a spot in the NCAA Tournament for the first time ever. The Cats went on to win their first-ever tournament game before falling in the round of 32. This season, they’ll return four of five starters and hope to build off the successful 2016-17 campaign. Collins said the Welsh-Ryan Arena crowds at the end of last season were among the best he’s ever seen, but said he wasn’t worried about playing in the much larger Allstate Arena. “I’ve said it all along since day one: If you play well and you win, it’s like the old ‘Field of Dreams’: if you build it, they will come,” Collins said.